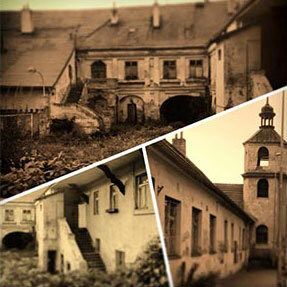 Late in 2014 we secured from the Prague 4 council a 50 year lease on the historical Dominikánsky Dvůr site in Braník. This followed a campaign of engagement with the local community, citizens groups and government officials. Since then, the deal and relationship has soured. Many millions of crowns were invested with no return, thanks to the heartless decision by the City of Prague 4 to evict us without recourse. Despite having many of the necessary approvals for the reconstruction of Dominikanský Dvůr, including proof of financing, we were evicted. Proof of financing, a completed site survey, historical and archaeological surveys and a positive relationship with the local community were not deemed sufficient. While we would dearly have loved to have begun reconstruction as soon as possible, this historically significant and beautiful context will be left to its own purposes. Life is full of ups and downs and we are soldiering on. 2018 has be a year of restructing in terms of partners, relationships, business plans and most importantly, finding a new location. And we have been successful, signing a lease for an iconic new Prague location. Learning from past mistakes, this time around we are keeping quiet about the exact location until financing for reconstruction and build out are at least partially finalized.